Buying a car can be a stressful endeavor, especially a used car in which there is a greater potential for running into problems. However, if you're well-prepared when going through the car-buying process, you’re much more likely to avoid any pitfalls. 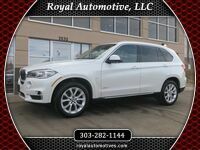 Here at Royal Automotive in Denver, we take great pride in delivering exemplary customer service and being transparent in everything we do, so we’ve compiled these useful tips for buying a used car. Before you start shopping around for a car, it’s important to determine how much you can realistically afford to pay. Take into account not only the purchase price and monthly payments for the car, but also insurance, gas, and maintenance. 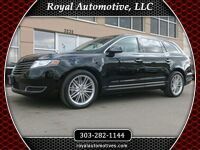 Thoroughly research the car that you will potentially buy. There are a plethora of online publications that give in-depth reviews of cars, such as Kelley Blue Book, Edmunds, Consumer Reports, and Auto Trader. You can also check the resale value of your targeted vehicle. Prices can vary significantly, whether shopping at a car dealership or buying from a private seller. While it can be enticing to quickly buy a car if it really grabs your attention, be sure to do your due diligence and shop around for the best deal. Every car has a vehicle identification number (VIN), which you can use to get a detailed vehicle history report from companies like AutoCheck or Carfax. The vehicle history report will show if the car had any significant issues, such a serious accident. Also, ask the owner or dealership if they have maintenance records of the car to see if it needs any major repairs. The best way to determine if a car is right for you is to do a throughout exterior and interior walkaround, along with a test drive. Also, if you want extra reassurance, you can take the car to a 3rd-party service center for an unbiased assessment. Price negotiation is usually the most difficult aspect of the car-buying process, but if you’ve done your thorough research and are well-prepared, you’ll have a less stressful experience. As mentioned earlier, utilize the pricing guides so you know the average market price before you start negotiating. Before you sign anything, be sure to thoroughly check the paperwork to ensure that everything that you agreed upon is accurately listed. 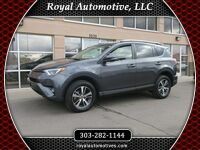 This includes not only the sales price, but also the sales tax, documentation fee, registration fee, and if applicable, financing terms and certified warranty information. 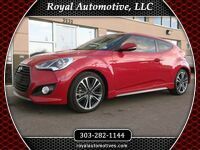 Buy a Used Car from Royal Automotive in Denver! 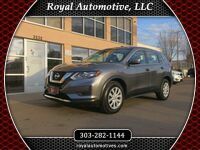 Do you want to buy a used car from a dealership in Denver that you can trust? 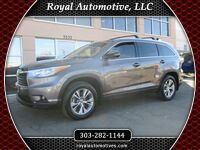 Here at Royal Automotive, we take great pride in offering a high level of standards and service for our customers. Also, we’re not just about selling cars, for it is important for us to make a positive impact in the community, with charitable endeavors like the support of Children’s Hospital Colorado. 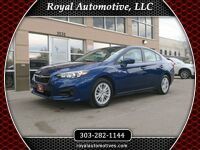 Take a look at our used car inventory. We look forward to serving you!